I've been in to craft beer for about a dozen years. The scene has gotten packed and vicious, with doughy white drunkards canniablizing one another whenever a hot new release comes out as if they were 30 fetid rabbits crammed into a small cage. As such, I have stopped chasing rarities. It's not that I'm above it morally, or anything. Just that I moved away from the midwest and lost all my connections, and I'm too damn old and tired to go about bribing new clerks just for the privilege of buying beer. Here's an example of how bad it's gotten. Two years ago, christmastime, I stumbled into a bar in the Chicago suburbs. They had a case of Proprietor's Bourbon County Stout sitting next to a pile of raffle tickets. I'm not a betting man, but what the heck, I put ten bucks down and, hooray, I won! Only--only I didn't win a bottle. I won the opportunity to buy a bottle, for 40 bucks. I mean, I paid for it, but the process just seemed dirty and exploitative. I asked the dude what the raffle money went toward, hoping it was like a charity or something, and he said "we use it to buy more beer." There was not a hint of shame or self-awareness in his voice. Anyhow, what I'm getting at is, I'm not writing as someone who has access to the "inside scoop" of where to get rare stuff around Baltimore. I'm just a regular beersman. And from that perspective, the Wine Source is easily the best spot in the city. The selection is wide and very-well curated. It leans toward local and regional beers, with a very respectable selection of European imports (getting rarer and rarer to find that, these days). They have two separate Belgian sections (abbys and wilds), with a decent rotation of beers in each. You can buy packed or growlers/crowlers, and refill prices are dirt cheap. Better than New York state, even. The package selection is very broad, but the draft selection leans toward whatever is presently popular. My only complaint is that instead of rotating some old stock, they just knock down the price. Right now I am consuming some Rouge Mocha Stout, which was very reasonably priced at 11/sixer but is clearly at least 8 months old (it tastes a little like a porter, a little like canned tomato soup). So, as always in life, you should be leery of products that seem slightly under-priced. Overall, quite good. It's impossible for me to say how good exactly, since I'm out of "the game," as it were, but from a pedestrian's vantage point it's the best you can do in Baltimore. Local place with great selection of things not widely available in the area. Growler and crowler station with around 15(?) taps. Excellent service, particularly for fills. Very friendly staff, they are happy to chat and make recommendations. Prices are reasonable, particularly given the selection. Also great selection of wine and liquor. Up front, it's important to understand that The Wine Source is predominantly a wine and liquor store with perhaps 20% of the shelf space (refrigerated and not) dedicated to beer and another 10% to cider/perry. That said, the selection of beers was quite impressive. There were numerous local Maryland/DC varieties (I was able to obtain from Union Craft, RAR, and 3 Stars), but the selection of domestic craft beers included a range of styles from high quality breweries throughout the US and was quite remarkable. Most selections are canned or bottled, but growlers/crowlers are available and reasonably priced. The vibe was very contemporary and business-like, but the staff were helpful and pleasant. 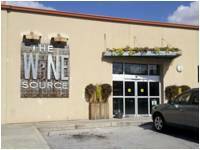 Wine Source also has dedicated parking, useful to know in an urban environment. Would likely be my go to place, if I lived nearby. My favorite beer store in the entire DMV metro area, excellent selection of imports, barrel aged beers, and sours. Growler station gets interesting beers and they do crowlers so I don't need to drag around a growler anymore. IPAs and other date sensitive beers are mostly refrigerated. Prices are way cheaper than competitors, maybe on par with Total Wine. Also a great wine store with a nice selection of liquor, coffee, and gourmet cheeses as well. Almost makes me want to move to Hamden. They even do wine and beer tastings in an actual tasting glass and have clean public restrooms. This place is excellent. Great service and a good selection of local coffee cheeses and chocolate. Go buy their stuff. I lived in Baltimore for a while but never got to check out The Wine Source because it’s all the way up in Hampden and I didn’t have a car back then. This time around, the wife and I are traveling down to DC and made a quick stop in Baltimore to visit the BAM and stroll around the funky streets and stores of Hampden. So while she does her thing, I went in to the Source. What a place! A veritable supermarket of booze- all kinds of booze. Right away I see Black Xantus ($15), Old Stock 2011 Brandy ($25), Boulevard Bourbon Quad ($13.99) and some other good stuff from Perennial and Dogfish. The bomber selection is tasty and enticing, while the six-pack situation is not as exciting but fine. Prices are good, I think. Very good indeed. Heck, I had paid 24 dollars for that Bourbon Quad a couple of days earlier in Philadelphia… they also sell cheese, charcuterie and other foodie goodies. It’s all there, under one roof.